2018’s SOTY Jamie Foy’s fire continues to burn and produce video content that keeps us all hyped and in awe of his talents. Check this piece of mastery from the crew at Spitfire Wheels. 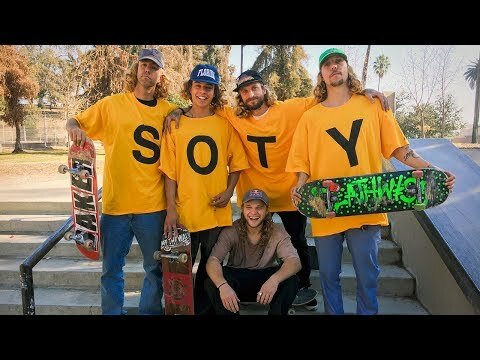 Kyle Walker is Thrasher SOTY 2016! He had a breakthrough year in 2015 and he’s continued to shred throughout the course of 2016 with several mind melting video parts, a pro model shoe and a heap of magazine coverage all along the way. It has been announced that Kyle Walker is Thrasher Magazine’s 2016 Skater of The Year! Congrats Kyle!